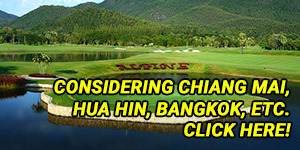 As a User of the Pattayagolf.net web site you are in complete control of your golf or holiday rental planning needs. This includes controlling the use of information you provide to Pattayagolf.net and its affiliates. 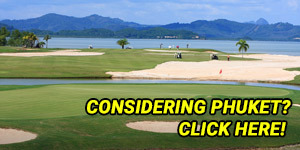 When you reserve or purchase online golf, holiday rentals or other holiday services through Pattayagolf.net, we provide only the relevant information required by the golf club, spa, hotel, or other involved third party to ensure the successful fulfillment of your golf and holiday arrangements. We also use information you provide during user registration or as part of the reservation process to customize the content of our site to meet your specific needs and to make product improvements to the Pattayagolf.net web site. We respect and will continue to respect the privacy of our customers who use the Pattayagolf.net web site. 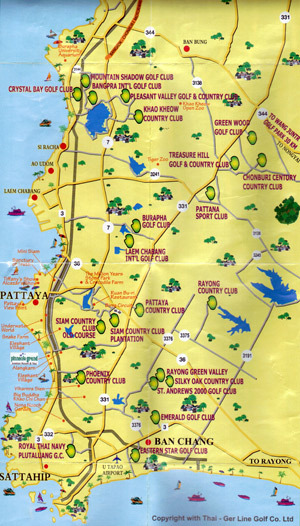 C : any cancellation penalty by a golf club, transport carrier or a tour operator incurred by the purchase of a non-refundable ticket; or although the standard of Pattaya’s golf courses is inspected on a regular basis, their actual playing condition may vary from time to time. We cannot be held responsible for the condition of the course during your golf round.